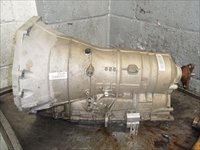 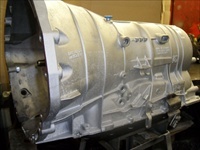 At JT automatics we don’t like the word reconditioned, we prefer the term rebuilt. 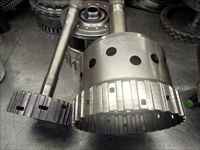 All our units are comprehensively rebuilt to the highest of standards, and will comply with or exceed manufacturers specifications. 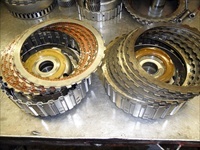 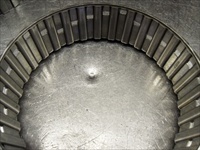 From start to finish our units are built with the highest quality parts available; items such as seals, sealing rings, gaskets, clutch plates, brake bands, bushes, bearings and hard parts where necessary, are all replaced. 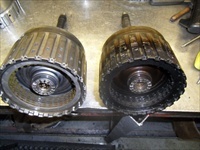 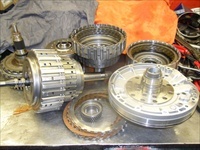 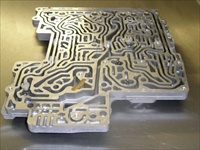 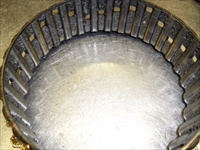 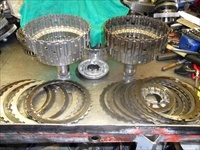 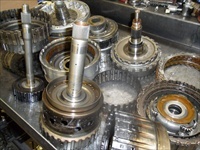 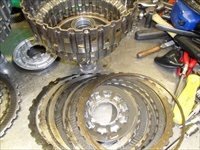 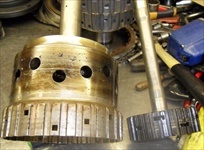 The above gallery shows much of the process involved in rebuilding a typical gearbox, showing the original removed core unit through the stripped down parts to component before and after pictures. 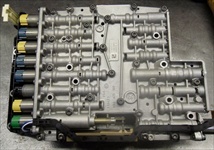 You can see in some pictures the comparison between the old parts and their replacements. 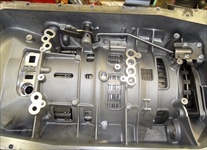 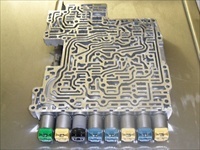 Also you can see the valve body separated and complete, also the assembled components ready for installation into the casing, through to the finished article.